Gene Simmons George Lopez Had a Drunken Good Time ... KISS Still Loves Him!!! Gene Simmons is giving his pal, George Lopez, a pass for his drunken antics at a KISS event, and says there's still room for him the next time the band parties at sea. We got the rock legend outside The London hotel in NYC, and just had to get his take on George getting hammered and obnoxious during last week's KISS Kruise. 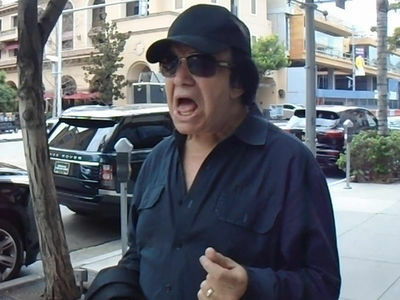 Some fans were pissed off, but Gene says George was just enjoying himself. Even though Gene famously doesn't drink, he's got no issues with fans rock 'n' rolling all night and partying everyday -- up to a point. You gotta see what he says about regulating unruly fans ... at least back in the day he would.